My colleague Jamal and I took the TOEFL internet test a couple of days ago and I wanted to make a few observations while the overall experience is still fresh in my mind. Please note that I won’t be talking about the pedagogical aspects of the test until we get our results, so watch this blog for updates! We received an email before the test telling us to arrive 30 minutes early. As we nonchalantly sipped on our coffees in the McDonalds across the road (it was the only place open that time on a Sunday), my mobile rang. It was the lady from the test centre wondering whether we were still going to be taking our tests. I expressed surprise and referred her to the “30-minute” demand in the confirmation email. She said no, that we needed to be there 45 minutes early for the checking in procedures. We gulped down our coffees and scuttled across the street. As we walked in, the lady asked to see our IDs. Each of us produced a valid Australian driver’s licence. “Where are your passports?” she asked. We both shrugged. Neither of us had realised it was necessary to bring one. “Well, each of you has to fill in the form and I’ll tell you if you can take the test,” she said ominously. With trepidation we filled in the forms, passed them back to her and she scanned them carefully. “You can do the test” she said, pointing at me. Relief! “You can’t” she told Jamal. Oh no! Why not? It turns out that Jamal had ticked the wrong box when asked if she was taking the TOEFL test in the country of her citizenship. 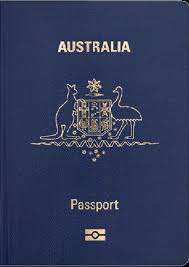 Rootless cosmopolitans that we are – both Jamal and I possess dual nationality and have lived in different countries – Jamal had got herself in a muddle. Luckily, the lady took her word for it and accepted that she is, in fact, an Aussie. Phew! Whatever you do, don’t forget your passport! I should mention at this point that it was a very small test centre. In total, there were four of us taking the TOEFL internet test that afternoon: myself; Jamal; a young fellow from India who had got fed up with repeatedly failing in the PTE speaking section; and a young lady of indeterminate nationality who was taking the TOEFL for the second time with a view to migrating to Australia. Incredibly, she was being asked to get 117, which seems way too high for me. We were all given a locker key on a ribbon to put our stuff away and told that we wouldn’t be able to touch any of it until the end of the test. At this point, Jamal left her lunchbox of fruit and a bottle of water on the table. (By the way, the test centre offered water and biscuits for anyone who wanted them.) We noticed that there were cameras everywhere. One by one, the lady asked us into a little room – her control room, in fact – between the entrance and the exam space. It started to feel a bit like the TSA procedures at an American airport. She scrutinised my ID then asked me to sign a form and compared it to my signature on my driver’s license. I then took a picture for the system to identify me with my TOEFL number. She took a few and allowed me to choose one that I was happy with, but didn’t offer to photoshop it! I was next asked to stand up with my back to the wall, confirm that I was who I said I was, turn out my pockets, roll up my sleeves and trouser legs and spread my limbs to allow her to pass a metal detector over my body. It was pretty full on. These formalities completed, we then entered the testing room having been given a piece of A3 ‘scratch’ paper and two sharpened pencils. There were six workstations in the room, each with a camera mounted in the ceiling above. I was asked to wait in the corner while the lady prepared my TOEFL internet test login. She beckoned me to sit down at workstation number 6, which I duly did, before putting on my headphones and starting the test. REMAIN CALM: Don’t let the security and red tape get you flustered. Just like at the airport, it can be stressful and time-consuming. Just remain calm and polite, and respect the authority of the test centre employee. FAVOUR PRACTICAL SNACKS: The test can take up to 4.5 hours, although you may finish before that, and there is only one, strictly monitored ten-minute break between the listening and speaking sections. 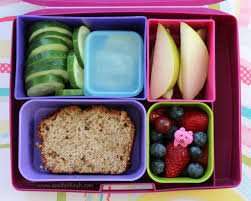 Bring something you can eat quickly and cleanly. Bring a snack that’s easy and clean to eat! PASSPORT: Don’t risk being left out in the cold! Take your passport along just in case. HOLD YOUR TONGUE: Don’t be tempted to chat about the first half of the test during your break or you risk having your test score cancelled. Topics you may wish to address during the break include religion, politics and sport. SLEEP WELL: Arrive at your test well rested. You’ll be in a (probably) windowless and (possibly) airless space for hours. SCRIBBLES: Use as many pencils and sheets of scratch paper as you like. It’s included in the price. BACKGROUND NOISE: Use your headphones whenever anyone is speaking in the room. It won’t block out the chatter completely, but it helps to muffle it quite well. Make use of those headphones to block out noise! ACCESS: Once your stuff is in the locker, there it shall stay until you’ve finished the test. Leave anything you need in the break out on the table. SNOT A PROBLEM: If you need tissues, they will provide them for you. Used or not, they must be thrown in the bin on your way out of the test room. PUNCTUALITY: Get there 45 minutes before the advertised start time (even if they tell you it’s 30 minutes). Be sure to check back for an update on my TOEFL internet test soon!